A stream flows from the nearby snow-capped mountains. 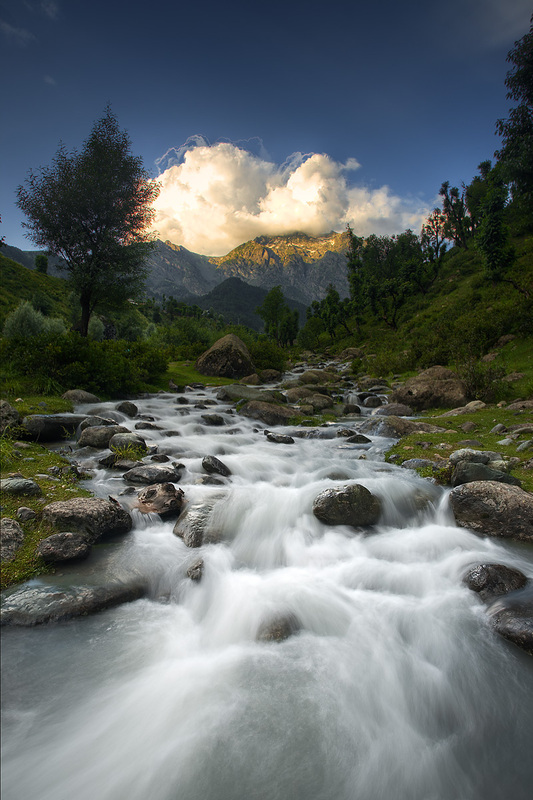 Hands down, the Aru Valley is one of the most naturally beautiful locales in India. More Switzerland than India, the area outside of Pahalgam is largely unvisited by Indian tourists and has therefore been left relatively free of discarded Kurkure snack packagings and spent cigarette packets. 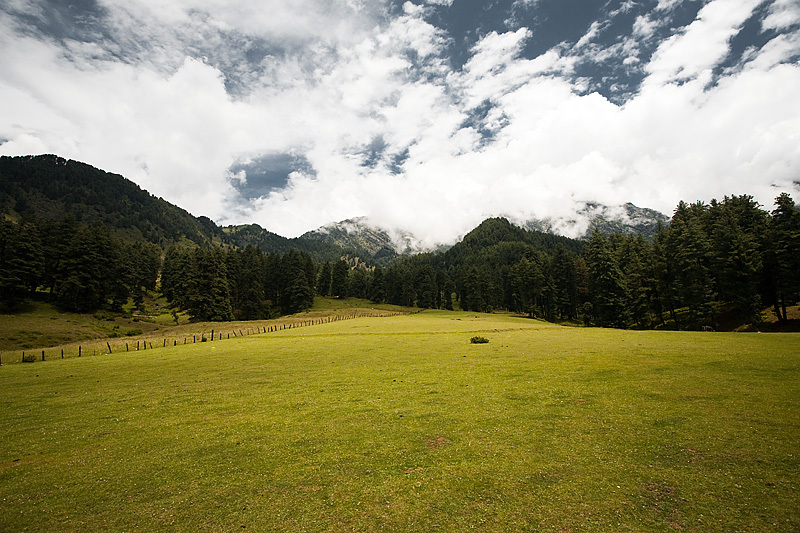 Surely this won't last long so while you still have a chance at seeing unmarred nature, take the arduous journey beyond Pahalgam into the surrounding mountains. Leave the Kurkure snacks in Delhi. Welcome again to archive photos (on the weekends). We've left Srinagar - photographically speaking - and now travel a few hours south to Aru Valley. An open field looking up to the surrounding snow-capped mountains. Aru Valley: it's the stuff of fairy tales. I just wish I hadn't come down hard with bronchitis during my stay. Otherwise, I would've taken a far more photos and been able to trek around further than a few hundred yards past my guesthouse. Particularly like the first shot... get wet taking it? Thanks, Holgs. By 'wet', if you mean, did I submerge myself up to my knees in 0°C water, the answer is yes. Lost all feeling for a good two hours afterwards.